Education is at the heart of these themes to inspire and empower the next generation of climate leaders. We run programmes for students, start-ups and innovators across Europe via centres major cities, convening a community of the best people and organisations. 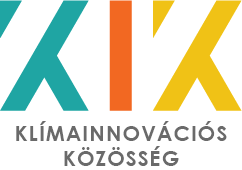 PANNON Pro Innovation Services Ltd is the Hungarian regional coordinator for Climate-KIC. PANNON Pro Innovations (PPIS) offers a gateway to dedicated funds and cutting-edge know-how through the leading thematic European network of academic, industrial, policy and research partners. For more information on Pannon Pro Innovations please visit www.ppis.hu.